Happy new month guys, welcome to the third month of the new year. I’m jamming to this great song recommended by Myss Lafunky called Your Great Name by Todd Dulaney. Nothing like the name of Jesus, right? Listen to it and be blessed. I’m sure you would be wondering what a Hagar moment is, be patient, we will get there. It was inspired by an awesome podcast by a spiritual father of mine, Bishop T.D Jakes and it’s called "Are you all in?" Please listen to it and I can assure you that you would be blessed just as I was by the podcast. "Now Sarai, Abram’s wife, had borne him no children. But she had an Egyptian slave named Hagar; so she said to Abram, 'The Lord has kept me from having children. Go, sleep with my slave; perhaps I can build a family through her.' Abram agreed to what Sarai said. So after Abram had been living in Canaan ten years, Sarai his wife took her Egyptian slave Hagar and gave her to her husband to be his wife." (Gen. 16:1-2 NIV). First of, apologies to Hagar and anyone named Hagar for using your name to describe a situation that is not necessarily positive. Verse 2 of Gen. 16 completely captures exactly what a Hagar moment is; now for some context, flip back to Gen. 15 with specific focus on Gen. 15:5. Like Daddy Jakes said and I’m paraphrasing here, it’s basically a moment in life when you decide to help God fulfil His promise to you lol. 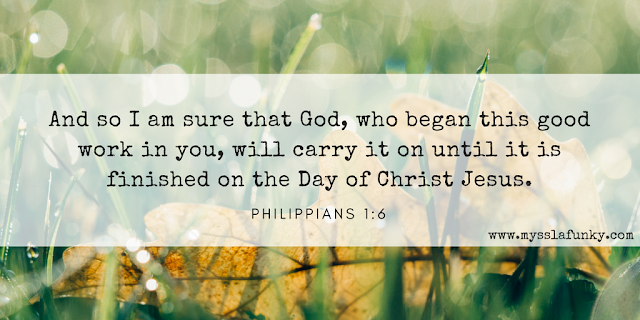 Imagine the almighty God needing your help to complete what He started. But that is exactly what we do when we are holding on to God and we decide to create a plan B like Sarai did. In Gen.15:5, God gave them the promise and bada bing bada boom, 22 verses later, Sarai is like naaa this ain’t gonna work, I gotta help God out. Now I’m not saying we shouldn’t plan or strategize but I’m saying when waiting on God, you need to trust that He is able to finish that which He started. As human beings, we all have Hagar moments at different points in time but what is wrong is, when we have the Hagar moment and follow through on whatever decisions that arise from those moments. Remember that verse that says without faith it is impossible to please God? Yeah, Heb. 11:6. When we have Hagar moments and follow through, we are basically saying we don’t have faith in God’s finishing ability and in doing so, we displease Him. The example of Abraham and Sarah is one of the most common examples that happens in our society today. I myself have had quite a few Hagar moments, sometimes I’ve had the strength to resist those moments and other times, I found myself "helping God" by following through with action. There are a lot of risks associated with Hagar moments and from experience (even when we are covered by the grace and mercy of God) we end up having to live with the consequences and pains of the Hagar moment. I’ve been guilty of succumbing to Hagar moments but after listening to the podcast, I made up my mind to start taking concrete steps to close out every Hagar moment in my life and by His grace, I will be able to close out and resist any Hagar moment in my life. As we go into this new week and month, the charge is for you to sit down and think of anytime you tried to help God and ask Him for His forgiveness and strength to close every door that was opened due to Hagar moments and to walk away whenever you’re faced with a Hagar moment again. Temptation isn’t a sin but falling into temptation is a sin! What Hagar moments have you experienced? What are the steps you need to take to fix those moments? Have a lovely week! See you on Monday for another faith based post. Can't think of those Hagar moments, but i sure know I am one of those who love to help God. I can help God for Africa. I am not as much afraid of those many Hagar moments, as much as the consequences of the fantastic Hagar's moments and God will just be watching us on his Omni 5HD lens. If we ask the Jews how much they have suffered from Hagar's descendant, and all thanks to the generous act of Sarai, we will know it is best to avoid that creature that whispers "Hagarrrrrrrrr" into our ears. May God save us from wanting to help him because we are not God, we just end up making our situation muddy for centuries without end and putting God in tight corners coz he's too loving to leave us alone. Amen. Thank you Abikoye for your comment. Same way some Jews have suffered from Hagar moments, it's a reflection for us to be mindful of our own choices as our choices are likely to have an impact on future generations. Amen. Thanks a lot Abikoye and may He give us the strength to walk away from every Hagar moment. God is always with us... I believe in this and really think that you inspire your readers to do some good things. This is very precious and rare nowadays. Thank you and keep writing.